Time: 27 March 2011 01.59 PM. Warteg is likely a bar, which many people can meet to eat and drink together. 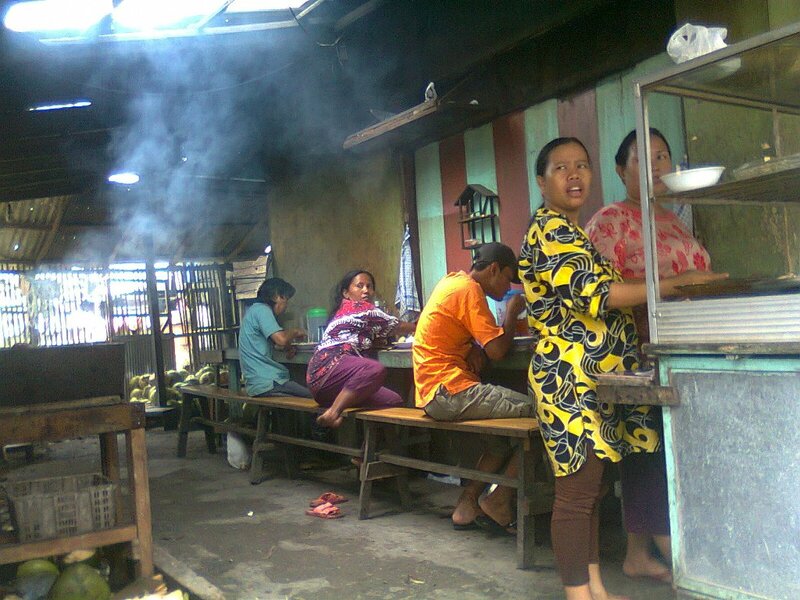 Warteg is usually found in the urban area, the cheap of cost and tasty foods (sometimes) are the choice to save more money in Indonesia. This pic was taken when i've drove to my friend place and passed in the market. I've took the pic by constantly.